If you have been to Amherst Dental Group recently for a routine checkup and dental cleaning in Williamsville NY, you have probably noticed a new, friendly face in our office. In January, we welcomed our new dental hygienist, Shannon. Sharing in our core beliefs and values to provide an unmatched level of care, Shannon joins our dental team to help families smile. We are excited to have Shannon join our team as a registered dental hygienist. 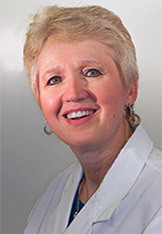 As a graduate of the State University of NY at Buffalo, Shannon has 31 years of experience as a dental hygienist. Her academic and career success has allowed her to specialize in scaling and root planning to work alongside us with periodontal treatment in Williamsville NY. With Shannon by our side, we will work together to help you maintain and obtain optimal periodontal health. As a registered dental hygienist, Shannon will help us better provide comprehensive patient care for complete oral health. Shannon will aid our team during patient screening procedures, such as during routine dental checkups and dental cleanings in Williamsville NY. During routine cleanings and exams, Shannon will remove calculus and plaque from the surface of the teeth. To keep the teeth strong and healthy, she will apply preventive treatments, such as fluoride and dental sealants. In addition, she will take dental scans, images, and impressions so we can gain better insight into your oral health. With dental education the very foundation to great oral health, Shannon works to build a relationship with each patient. During her time with the patients, she will help teach the importance of oral hygiene and share valuable tips to help maintain oral health. In addition to patient counseling, Shannon will help keep our office running smoothly by performing patient documentation and other office management activities. At Amherst Dental Group, we believe that all patients need specialized attention for a great dental care experience. Our team of dental staff uphold our mission to deliver superior care in a comfortable environment. With the addition of Shannon to our dental family, we look forward to helping your family develop and maintain beautiful smiles because teamwork is of the highest priority in our office. Next time you are visiting our office, Shannon will be there, ready to make you feel welcomed as we care for your teeth and gums.